There has been a LOT going on in my new office with my new co workers, multiple family members passing away and one co worker left. Of course in craft-land this means we make cards. Today I would like to share one of the sympathy cards that I made for my co worker whose uncle passed away. This co worker ahs been paramount in making me feel welcome, so when I found out that he lost someone very close to him I definitely wanted to let him know how sorry I was for his loss. When I saw this bee, all I could think of were the french bees with the crowns. However, my first project with it turned out nothing like that. Although I used papersoft for the main part of my yellow, I inked a majority of the edge in wild honey and then stenciled my images in ripe persimmon and rusty hinge. I then used my water spritzer to splatter some water on the card and react with the Distress Ink. Then I stamped my brown images using various Stampers Anonymous stamps and a new set of Wendy Vecchi stamps. I used Distress Glitter in Antique Linen on the wings of the bee to give the card just a touch of glam even though it is for a male. I love the embossing folder on this bee. The brown corrugated piece is from my 7gypsies scrap pack. I ran a nail file over it to distress it a bit. I love the texture with the canvas from the banner. Those Maya Road banners are adorable. Hope you enjoyed my masculine sympathy card today. Love my bee. If you haven't tried one of the new Bigz dies with the embossing folder I would DEFINITELY recommend it. 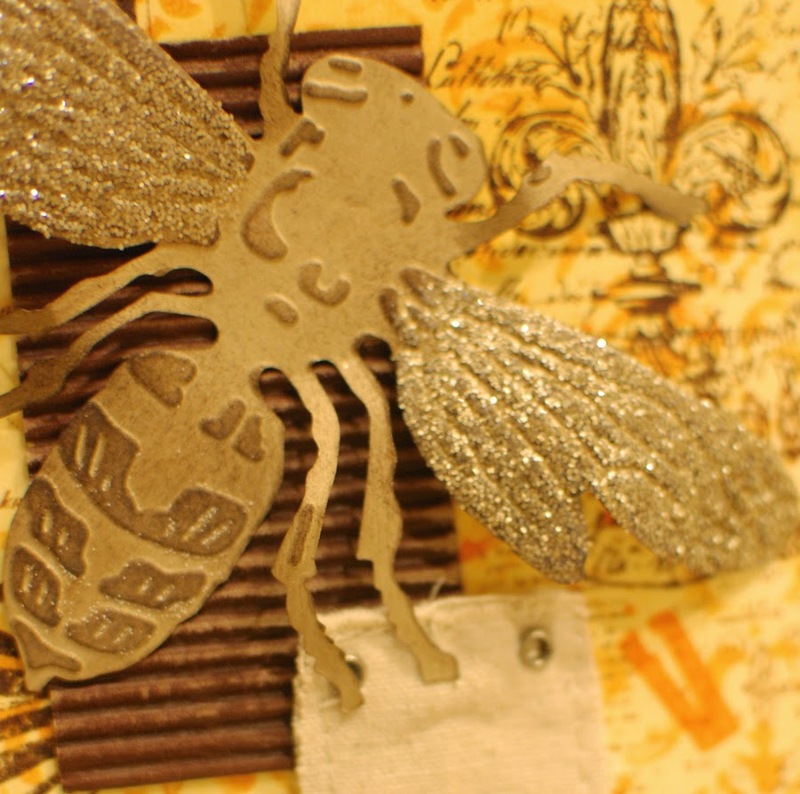 What a great card Andie - love how you glittered and embossed the golden bee! Your bee is GORGEOUS, Andi, and I just LOVE your background! FAB card! 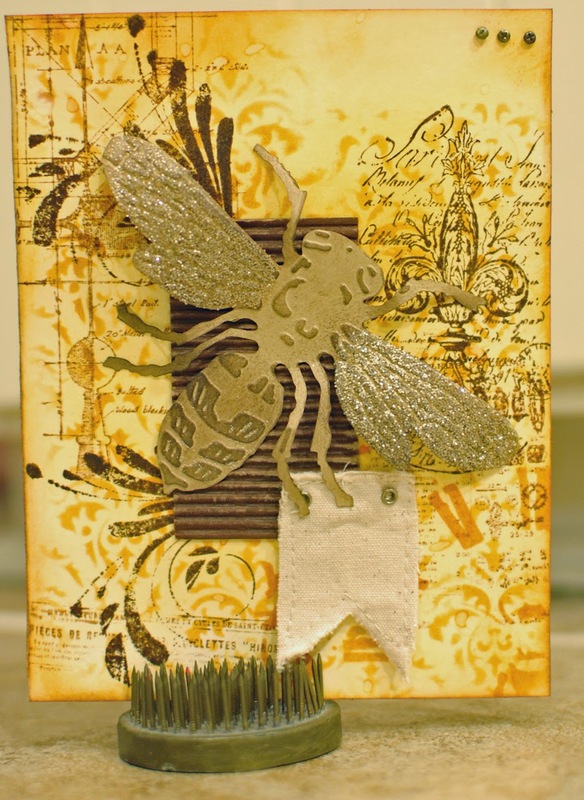 This card is amazing; love the textures; the bee is fabulous !What a thoughtful card!